Below you'll find answers to questions you may have about international shipping. If your question is not answered here, please email us or call our international phone number +44 33 33 445 755 Mon – Fri between 9am – 6pm GMT. All orders are sent by EXPRESS or PRIORITY Shipping service only. Ice packs cannot ship internationally; if your shipping destination is in a generally warm climate or you’re ordering during a warm season, please keep in mind the heat sensitive nature of chocolate or similar items. As we cannot unfortunately protect it with ice packs for international orders, the customer does assume responsibility for melted product. Thanks again for understanding, and please consider this when ordering products like chocolate bars, butters and similar! See below table for our most popular shipping destinations. "Ordered 1 jar of ON whey 5 lbs from New Delhi, India on Sunday night. Received email saying item Shipped on Tuesday afternoon. Item delivered on Thursday evening. Item as described and received in double ply cardboard box with appropriate packaging inside. Excellent overall service. Will definitely shop again and again. I would recommend musclepetrol.com to anyone." Our courier partners will always pre-clear your package with customs before it even hits the border. This speeds up the process and allows your order to deliver much faster with point-to-point international tracking that makes it very easy to see exactly where your package is every step of the way. *Delivery times above are excluding the order processing days. Please allow 1-2 extra days for order processing and 2 - 4 if you choose Express Saver. If you have any issues and can't get a shipping quote for your location please email us or call our international number on +44 33 33 445 755 Mon – Fri between 9am – 6pm GMT and we will help you. Sometimes packages may be stopped and inspected by Custom officials at the border of your country. In our experience these inspections are quick and easy, but in some cases it may cause a delay in your package arriving. Usually these delays will be shown in your tracking information. If customs decides that your package cannot enter your country, it will be returned to us. In this case, you will be issued a full refund of the product minus shipping as soon as we receive the package back. - Tip: To avoid this we suggest you always check your country laws before placing the order if in doubt. If you believe your package has been refused entry into your country please contact us immediately via email or call us. We'll do what we can to help expedite getting the package returned to us and issue refund. It's also important to understand that you may be charged duties & taxes by your government at the time of receiving the package (although based on our experience this is rare). The duties & taxes laws vary greatly from country to country, we advise you check the laws in your country if not sure. If you refuse to pay the duties & tax charges when accepting the package it will be sent back to us and we'll refund you the full amount minus shipping and return shipping costs. First, relax. Whilst international shipping typically takes just a week or two max depending on the carrier, we have had rare experiences where it has taken up to 3-5 weeks for a package to arrive. Whilst the reason for such a delay isn't always clear, it is more than likely due to a package being held in Customs waiting for inspection or awaiting and verifying further documents requested from you. – this can be always tracked on the carrier website where you can see up to the minute and point-to-point tracking and ascertain the whereabouts of your package. Please wait at-least 3 weeks before contacting us to allow your package enough time to arrive. If after 3 weeks the carrier still has not delivered your package and it is neither showing up with the customs, please contact us and we will try to ascertain the location and whereabouts of your package. Ultimately, we always put our customers first, if your package still has not arrived after 5 weeks, we will issue you a full refund, including the shipping costs or resend your order FREE of cost. Will you put a low amount on my invoice to avoid duties & taxes? Whilst we love pleasing our customers, this is simply one request that we cannot accommodate no matter what the circumstances might be. We always state the full pound value in GBP of any and all merchandise being shipped to a customer as we are required to do so by law. 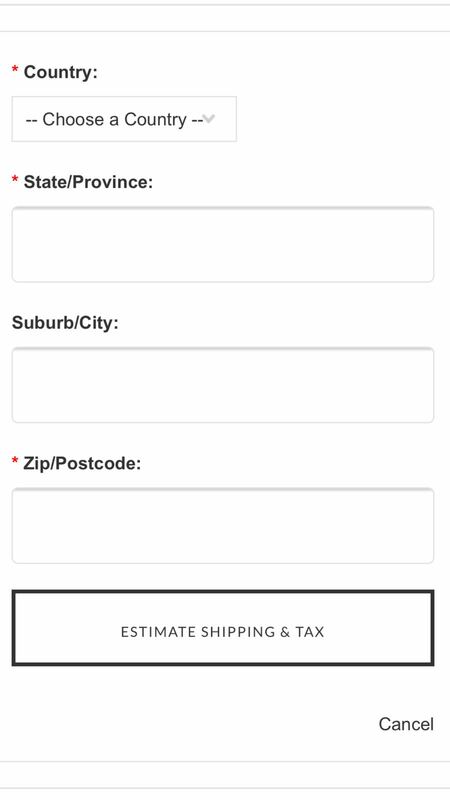 We usually look for the billing address to match the shipping address. In some cases, we may first contact the customer before shipping out their package to them to verify their identity or may request to fax or email their credit card documentation after your order is placed. Please understand that this is only requested as an added security measure to insure your credit card security. You will only be asked to provide this information on your initial order. We ultimately reserve the right to decline sending any package to any customer that we believe to be acting fraudulently. Buyers are responsible for any applicable customs duties and taxes along with ensuring that the items they are ordering are lawfully permitted to import into their respective countries. Muscle Petrol.com will not be liable for any refunds resulting confiscation of the products in the buyers country.